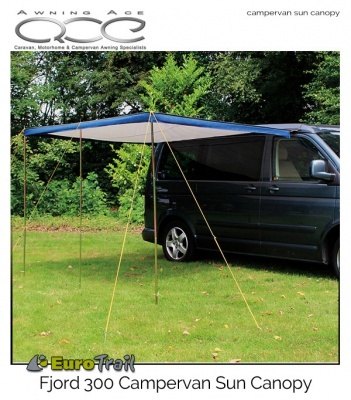 The canopy can be attached to standard awning channel or directly to your roof bars or rails providing a sheltered canopy or shady dining area. The supplied roof bar and clamp can be used in a number of ways to secure your awning to multiple rail configurations. 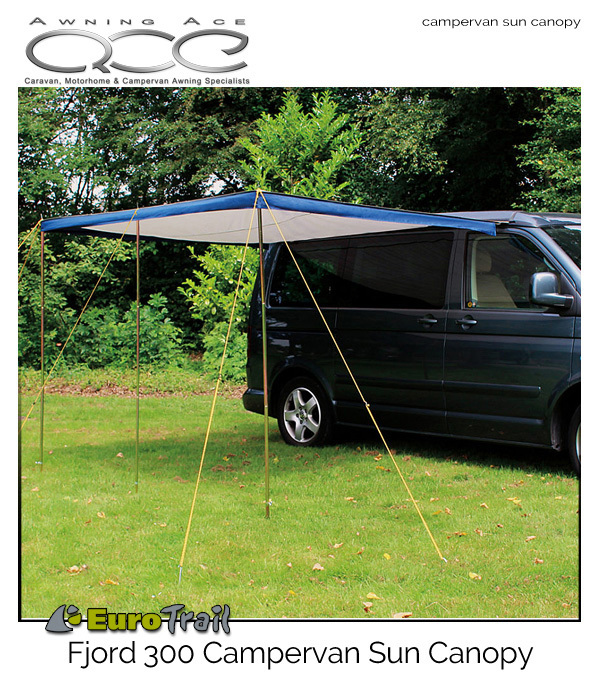 Made from All Weather Tex 2.0 awning fabric with an SPF 50+ protection factor the Fjord Canopy can be used in all weather conditions. 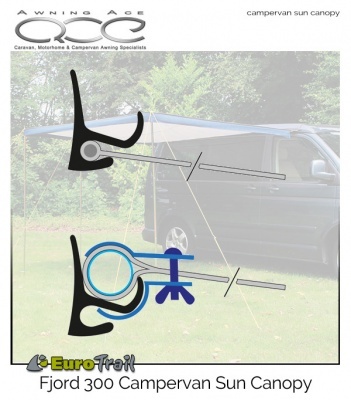 Three steel upright poles and guylines provide secure pitching in minutes. 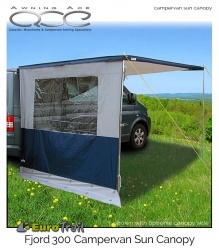 The large 300cm width and 240cm depth make this a practical and versatile canopy for most UK campervans. 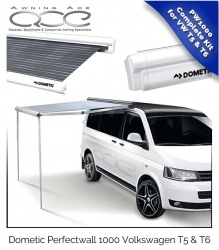 Optional Side Panel Package also available.